I am so happy Spring is here. I love all the spring fruits and veggies. I picked up some asparagus the other day and I knew I wanted to roast them. 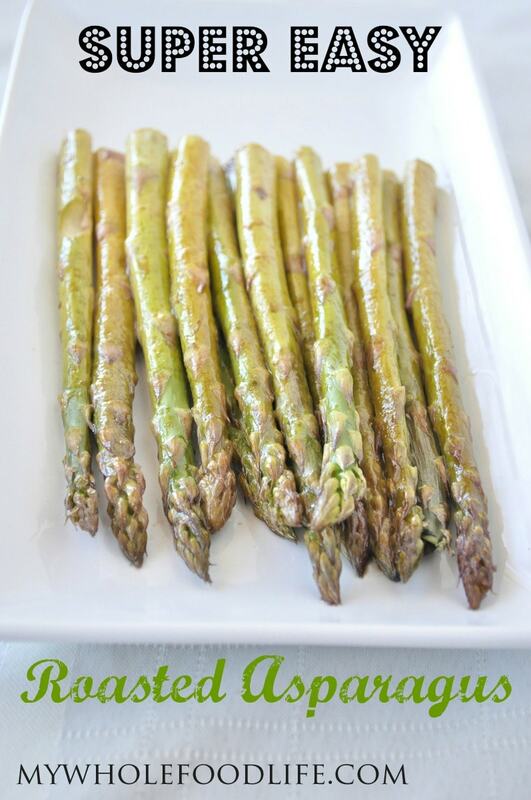 This Easy Roasted Asparagus is so easy and fool proof! I promise you will love it. This roasted asparagus recipe is very similar to my Easy Roasted Broccoli and my Honey Balsamic Brussel Sprouts. I don’t know about you, but I don’t like my asparagus to be completely soft. I like a little crunch still left to it. That is why I only roasted mine for 10 minutes. If you like a softer asparagus, feel free to keep it in the oven longer. A super simple recipe you will love! Mix all the ingredients, except the asparagus, in a small bowl. 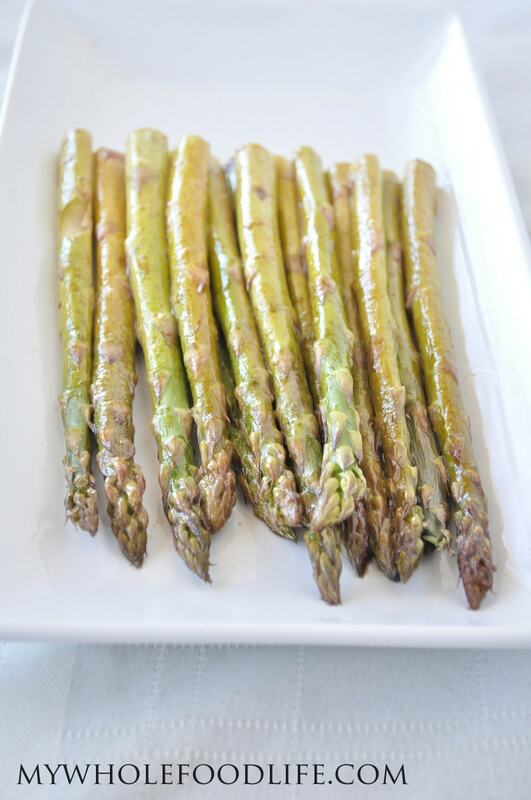 Place the asparagus onto a lined baking sheet . Using a silicone brush , brush the dressing onto the asparagus. Pour any remaining liquid onto the asparagus as well. As a stated above, feel free to cook it longer if you like. I just like my asparagus to have a little crunch left. Enjoy! I just LOVE roasted asparagus! oo yum I love asparagus! We're in autumn here in NZ so I've got a while to wait before it's in season here again. But when it is, I'm roasting it up baby! Awesome! I hope you enjoy my recipe! Yum! I'm trying this for Easter dinner tomorrow. Hubs is not a huge steamed asparagus guy so we'll see how this goes over. Awesome! I hope it's a hit! Does the T in the ingredients stand for teaspoon, or tablespoon?